This country is quite hot . In Greece it is about 30 degrees. That’s how hot it is. If you can go to Greece then you will see how hot it is. In Greece they invented different pottery. The women were not allowed to make one at all only the men were allowed. to make one.The women were allowed to design it. This is ancient Greek pottery. 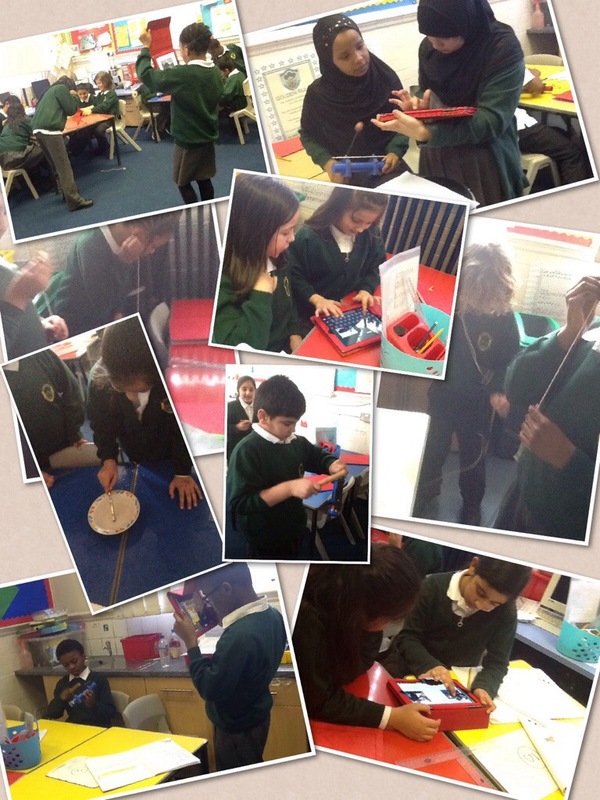 Yesterday, 4P explored how sounds travels and created an Explain Everything using the IPads. How did the activities help to show how sound travels? In guided reading we have been learning different poems and practising them using fluency and expression. Please watch the following video for our latest poem. 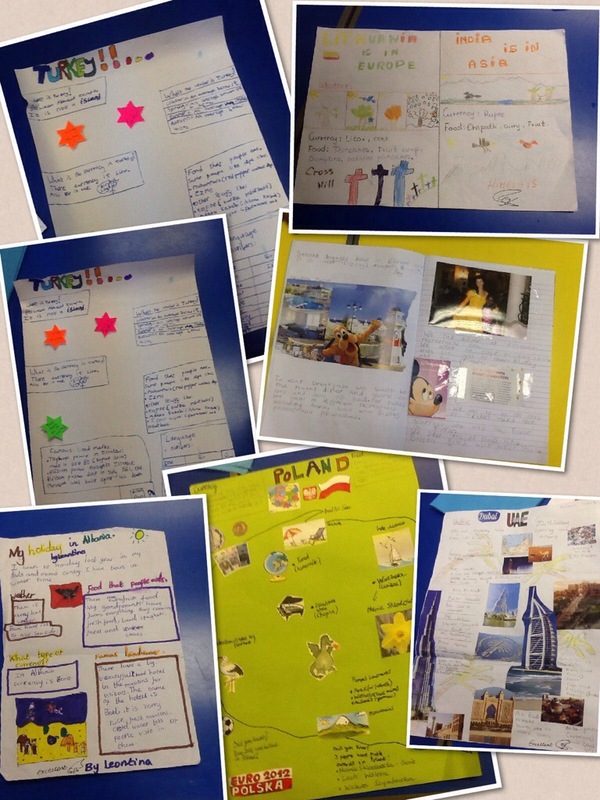 During the Christmas holidays, the children were asked to display their knowledge about a place or county they had visited. I was amazed to see we had visited places such as Turkey, UAE, Pakistan, Madeira and America. if you could visit a new place, where would it be and why? Today we have been learning about Greece and where it is on the country map and we learnt lots of Greek information like food,weather and other information. We found out over 10 million people live there and it’s takes 4 hours to get there. The local money is euros too. . This afternoon we were tasting Greek food and gave some comments about it. We really disliked the olives because they were salty. Other activities were looking at Greek pottery and researching Greek gods and godesses. What have you learnt about Greece? First, you get a whole box. Second,you get a motor a wire in it and stick it on the box. Third,you wrap the box with wrapping paper. Fourth, put any colour you want of glitter. Five,cover it with a bit of tinsel and there you have it but don’t forget the watch battery! You have finished your decoration! And that is how you make a hanging, shining star! One Friday afternoon Mr Watkins exclaimed that we were going to make some decorations each made out of LED lights or motors. I decided that I wanted to make a star with LED lights. So I grabbed 3 yellow sheets of card and a template! When I was done cutting I drew orange diagonal lines and glued them together. I found out that I didn’t need one of my card sheets so I put it back! I got my shoe box lid out and covered it in wrapping paper! I stuck the lid and star together and decorated it with glitter, tinsel and stickers. I am proud of my work!! The average temperature is between 22°C to 25°C in the summer months. In winter the average tempreture falls from -1°C to -8°C. The beginning months of summer are the sunniest of the year and rainfall is much lower. August and September are the wettest months in the year and at times, thunderstorms occur. 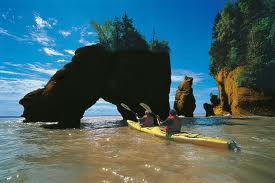 I’d like to visit Canada in the summer months, when the weather is good. What is The Time Difference ? The time difference is 5 hrs. That means when it is 11pm in the U.K. It is 4pm in Canada. I will have to remember this when I go to Canada, so that when I phone home it’s not to late and I don’t wake everyone up in the middle of the night. The Canadian dollar is used instead of pounds. If you have £1.00 when you convert this it will become $1.76 Canadian dollars. If you have £5.00, it will become $8.80 Canadian dollars. I would take £150 that would be $264 Canadian dollars, for my spending money , to buy lots of souvenirs for my friends and family. 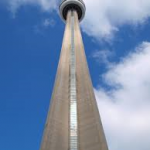 What is the national dish of Canada ? The main dish that Canadians really like is Maple syrup with Pancakes. Also Poutine which is made out of French fries, gravy and cheese curds. When I go to Canada, I think I’ll miss this one out to eat, but I’ll try the maple syrup and pancakes. 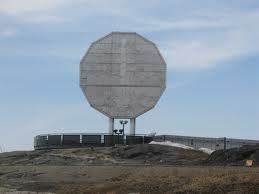 Famous Landmarks Of Canada I would like to visit. 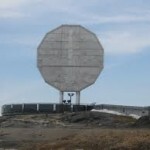 The Big Nickel is a 30-foot re-creation of a 1951 Canadian nickel, and it comes courtesy of businessman Ted Szilva and artist Bruno Cavallo. 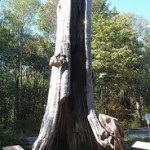 Before the park opened in 1888, the 800-year-old tree was already burned and hollow carrying a circumference of over 40 feet. 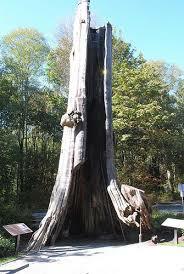 The tree is 130 feet. As the tree is no longer living it has been shrinking, and storms have put it in danger of tipping over, they use steel cables and barricades to keep it upright. 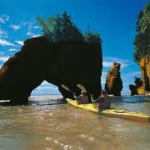 Formed during continental separation, the Bay of Fundy, located between New Brunswick and Nova Scotia, boasts tides that are among the highest in existence for vertical tide range. 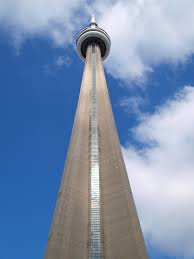 At over 1,800 feet tall, the CN Tower was the tallest free-standing building for over 30 years. In the Mount Royal district of Montreal, Saint Joseph’s Oratory stands tall as Canada’s largest church. Canada’s Horseshoe Falls is the most defining element of Niagara’s collective beauty and impact. The falls make a tremendous sound as the water goes over and lands at the bottom. 20%of the worlds freshwater lies in the Great Lakes and most of it flows over Niagara Falls.